The Townhouse 076 Hebbal hotel in Bangalore is quirky and comfortable, and has all the facilities for a memorable stay. 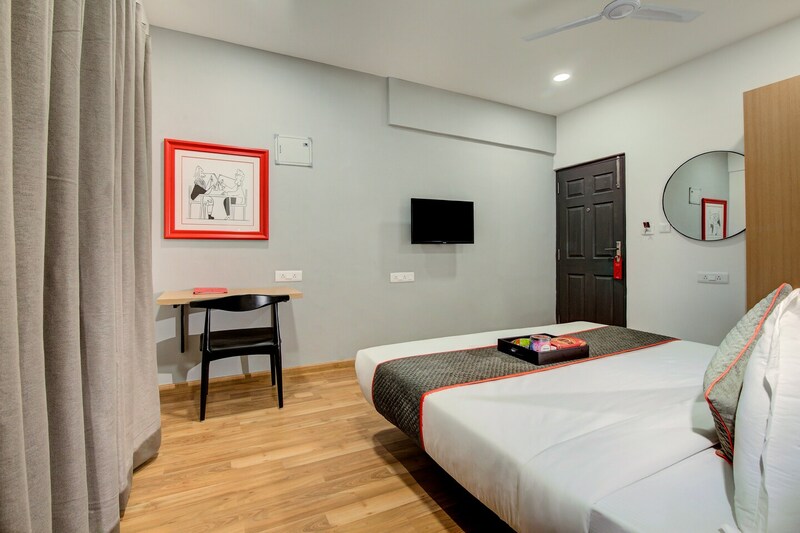 The rooms have a modern design with wooden floors, light-coloured walls and black and red accents. Long curtains, desk and chair sets and simple artwork add to the rooms atmosphere. The hotel has designated dining areas and an in-house restaurant to meet the hunger cravings of guests. The hotel also provides parking facilities, free wifi connectivity, laundry service and a constant power back up. The safety of the guests is ensured by CCTV cameras installed in all corners of the property. Card payment is also accepted.